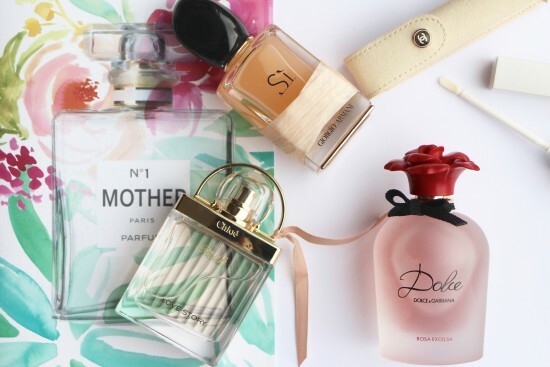 Some utterly delectable perfumes, if you’re stuck for a mother’s day present this year. The card in the background, by the way, is from Thortful – you can get 50% off your first card order using the code WEB50. Or so it says on my computer when I go to their site – let me know if it doesn’t work! 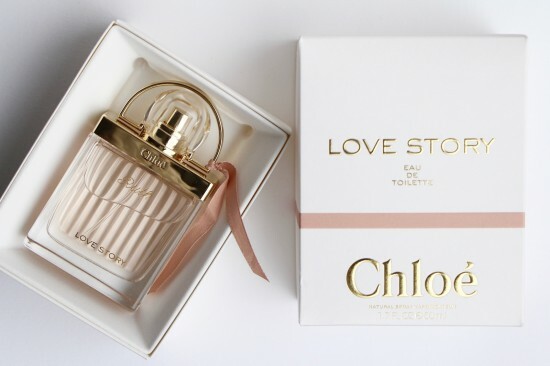 Chloe’s new Love Story Eau de Toilette is slightly fresher and less heavy on the orange blossom than the original Love Story: this is a good choice for someone who likes their fragrances light and feminine. The vintage style bottle would look great on a proper dressing table or in a boudoir strewn with discarded dresses and Vogue magazines… Find it at Escentual here from £35.70. 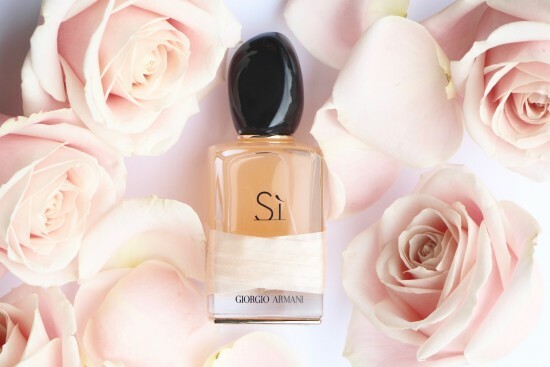 Armani Si is a beautifully elegant eau de parfum; a peachy, clean rose at first but with warmer, woodsier notes coming in as the fragrance settles into the skin. I think that this one is very sophisticated – I love the strong blackcurrant note, it’s unusual and not at all sweet or obviously fruity. You can find Si online here. Everyone (I think?) knows Chanel’s Coco Mademoiselle; but have they seen the new Touche de Parfum? 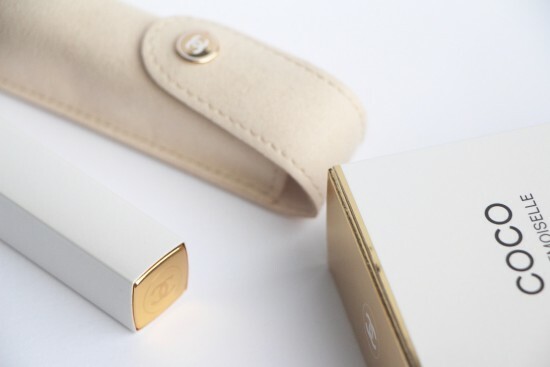 A cute, lipgloss-style applicator in a suede carrying pouch. At £65 for 6ml (here) it’s a real treat, but I can imagine that collectors and die-hard Mademoiselle fans will fall instantly in love. Those who want a little more for their money might consider the amazing purse spray – same sort of vibe, but with a twist-up spritz and three 20ml refills – you can find that online here. Dolce & Gabbana’s Dolce Rosa Excelsa has an aquatic kind of edge that I find really appealing. I always think that it’s a rather masculine note, but perhaps that’s because every single boy when I was a teen wore Davidoff’s Cool Water! This is fresh, juicy and smells very summery and uplifting – a hint of rose, but very much scattered through the other notes rather than dominating. 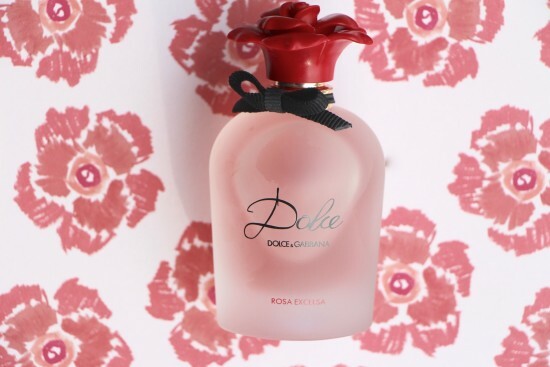 You can find Dolce Rosa Excelsa online here.